A pragmatic innovation diffusion model is proposed in the present chapter that interpolates stochasticity in the logistic formulation of the widely-acknowledged Bass model with dynamic market size. These irregular changes are caused due to uncertainty attached to the socioeconomic and political environment in which an innovation is positioned that affects the action of potential adopters leading to their non-uniform behavior. The aim of the current study is to find the analytical solution for the two dynamic market expansion structures, namely, linear and exponential under the influence of irregular fluctuations whose closed-form solutions were not possible in the existing literature. In addition to the changeable market size, the proposed innovation diffusion also incorporates the concept of repeat purchase. The anticipated stochastic differential equation based new product diffusion model is then expounded methodically using the Itô process and Itô's integral equation. Further, the model has been used to study the growth pattern of different consumer durable products. In the prevailing market arrangement, the launch of technological innovations has been ever-expanding. The reason for an interminably growing number of new products is that they are regarded as the basis of surviving in the cutthroat competition and act as a source of economic development. The term innovation refers to an introduction of a new or enhanced product with either small or radical changes that grants value-added to its consumers and helps an organization to stay afloat in the fast-changing aggressive environment. But not all innovations in the market gain success and instead results in a huge failure. Google Glass that is a computerized glass to show maps, Microsoft’s Band, a fitness gadget and Sapphire iPhone Screens, a super-hard transparent crystal screen are some examples of recent technology failures. So, to make an innovation successful and avoid financial losses, forecasting the new product demand and understanding its adoption process among the concerned population is of foremost importance. In view to model the adoption process, the study of diffusion theory becomes ineluctable. Diffusion theory in marketing characterizes a communication phenomenon of an innovation in the social system through varied communication channels such as mass media, interpersonal interactions, etc. The term “diffusion” amalgamates concepts such as contagion, imitation, social learning, structured propagation and others (Kiesling et al., 2012). The literature on diffusion has developed across a number of disciplines to explicate the flow of new ideas or applications and the adoption of new products and services amongst society (Wright & Charlett, 1995). The subsequent elements of diffusion of innovation are recognized in the literature: innovation, social system, communication channels and time (Singh et al, 2012). Innovation is a substantial modification in the existing product that results in an outcome of entirely new product and social system comprises of positive attitude members who are potential adopters of an innovation. Communication channel provides the link between these potential buyers and the innovation implementation team to spread the message about the existence of an innovation. The success of an innovation is largely determined by the marketing communication during the diffusion process (Shavinina, 2003). The fourth element of the diffusion process is time that refers to the adoption rate or the frequency of buying the innovation by the potential consumers. The mathematical models of diffusion processes describing the spread of innovation among the target population embed a transferable process to characterize the user’s influence on non-adopters by a spread of positive word-of-mouth that leads to an eventual adoption. Mass advertisements and interpersonal transmission of the product’s information play an integral role in deciding the pace and shape of diffusion of a new product in a social system. Diffusion models are an epitome of congenial interactions between all fields of management such as business, marketing, production and inventory. They provide an interface between these different fields of management, focusing mainly on decision-making with the perspective of management science and operations research. 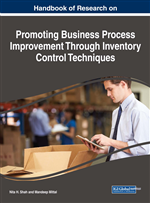 Diffusion theory can also be useful for inventory managers to build a tradeoff between the product availability and holding and handling cost structure. Thus, it assists managers in strategic planning for determining and controlling the stock levels under the physical distribution function (Aggarwal et al., 2012). In fact, the innovation diffusion models can be classified as deterministic and stochastic based on the characteristics of the innovative behavior of an innovation. The diffusion model is deterministic when the adoption pattern of a person can be anticipated with certainty, whereas a diffusion model is referred as stochastic when the sales behavior can only be articulated in probabilistic conditions. In order to describe the innovation process in a more realistic manner, the emphasis must be given on stochastic modeling as the underlying adoption conduct is stochastic in nature. For instance, whether an individual gets influenced through the mass mediated communication and make a purchase is stochastic. Moreover, the adoption based on intercommunication between users and potential buyers is also speculative rather than deterministic.